Some of my best days have been fishing. I grew up fishing and one thing I especially like about fishing is that it is an everyman sport. Not only is fishing an everyman sport, other benefits are that it can be done around the clock, any time of the year in a variety of places using a plethora of equipment, methods and means. Think of it, a man could do what I did as a kid – fish for trout in a steam or go to a lake. Or one can ice fish as I used to do in Idaho or spear fish in Hawaii. Inland or ocean, banks or in boats; almost anywhere, anytime with nearly any configuration of gear and you are in the game – fishing! By the way, I like to remind my friends that’s they call it fishing not catching! And that is a major positive. You can enjoy fishing whether you catch anything or not. Well maybe kids don’t like it unless they catch something but us adults, just doing it is most of the fun. Back to kids. As a young dad, who had to get out of the house and experience a little outdoors once in a while, I found fishing the perfect remedy for my need and a great activity for my children. We would go fishing with a campout as part of the deal. Not only did the boys love it – the tent, the fire, the junk food, burned hotdogs and melting smores, but my wife loved it to. She had a whole weekend to herself. And baby sitting isn’t bad when you expect everyone to get dirty and no one is expected to take a bath, do homework or get to bed on time. Yep, fishing was awesome. We even got pretty good catching bass as we used the boys’ spring break to go fishing. And spring in Texas is a great time to fish for large mouth bass. We also found that fishing was a great way to fish for men. We’d take guys with us for the fishing and camping and tell them about Jesus over a camp fire. And it worked. And why not, Jesus told us to? 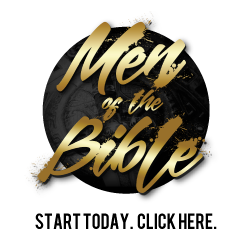 As Christian men, that is our primary responsibility to Jesus – to go fish for more men, to try to enlist more people into the kingdom of heaven by introducing them to the King of Heaven. Remember, fishing is an everyman sport? And just like fishing for fish, fishing for men can be done in a variety of places and ways, year around, at any age and with whatever “equipment” you have on hand. The “bait”, the attractant if you will, is the gospel; the good news that Jesus died to wipe away sins by his death on that ole rugged cross. Scripture describes it this way… “He made Him who knew no sin to be sin on our behalf that we might become the righteousness of God in him” (2 Corinthians 5:21). And that is important given that all men have sinned and the curse of sin is death, which is why all die (Romans 5:12). But the good news is… “the free gift of God is eternal life in Christ Jesus our lord.” (Romans 6:23) – That, my friends, is what draws men to your fishing effort. The men who realize that they are sinners, that Jesus is God’s Son and the only redeemer (remover) of sin, the men who want sin removed (forgiven) and want a better life – the abundant life Christ offers (John 10:10), are the one who will strike hard at the bait. Then these caught men, are added to the stringer of heaven, the membership of Christ’s followers, becoming fishers of men themselves. Isn’t that cool? How about you? How would you categorize yourself? A Christian man engaged in fishing for other men? A Christian man who doesn’t fish for other men? A man who isn’t sure if he is a Christian or not? A man who knows he has no personal relationship with Christ because he hasn’t asked Christ to save him? A Christian man who knows he’s been forgiven by the death of Christ on the cross but hasn’t lived for Jesus in years? Man number 1, keep it up; perhaps we can fish together some time. Please feel free to use our materials, especially M3 as a new lure in your tackle box. Mr. # 2, I’d say get with it and let us know how we can help you fish – we not only have materials but training to assist your effort to fish and have fun doing it. Man #3; If you are not sure, just follow the suggestions for the next guy, #4. Man #4, the gospel is clear “God so loved the world that He gave His only Son that whosoever should believe in Him should not perish but have eternal life” (John 3:16) – “He who believes in the Son has the life” (v36); That is, sir, forgiveness of sins, a new nature and eternal life! You may ask, how do you get from here, a man unsaved, to forgiven by Jesus? Simple, just ask Jesus. Scripture reminds us that the answer to the question “What must I do to be saved” is simple… “believe on the Lord Jesus, and you shall be saved” (Acts 16:30, 31). Sir, I recommend that you get a bible and read 1 John 5:11-13 for assurance of your salvation, that your faith, expressed today, truly connected you to God, eternally, in Christ. And please contact us if you would like for us to send to you, free of charge, our little booklet on beginning the Christian life. Finally, for those of you positioned at man #5; you simply need to confess your sins of indifference and abandonment of Jesus to Jesus (1 John1:9) and be reunited in fellowship with your Savior for a life of fulfilling joy, hope and peace. Please let us know how we can help you re-establish your walk with Christ. Men, fishing may not be easy, but its fun and doable and sometimes nets fish. But no matter what we think, Christ called us to follow Him as fishers of men. So, with that injunction I conclude this letter with one reminder – it’s fishing season, now. Let’s go!